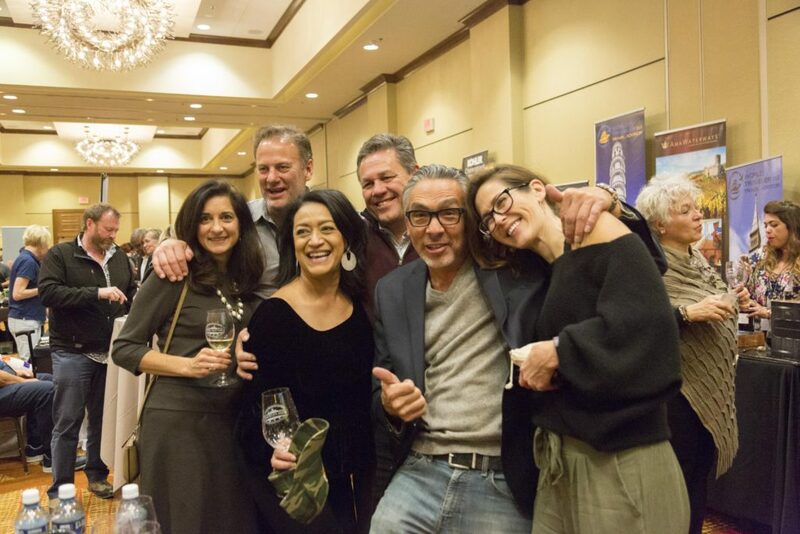 On Thursday, November 1, 2018, Ten Chefs from nine restaurants competed in one of America’s most challenging wine and food pairing contests. They received notification of their assignments less than ten days before the actual competition date. All of the wines were top winners from the Denver International Wine Competition. 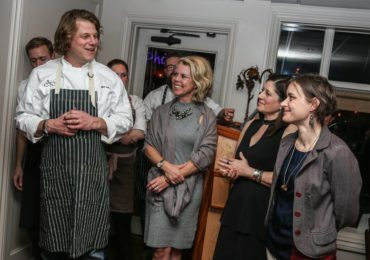 From a guests perspective, the night promised to showcase amazing wines with over the top food pairings. 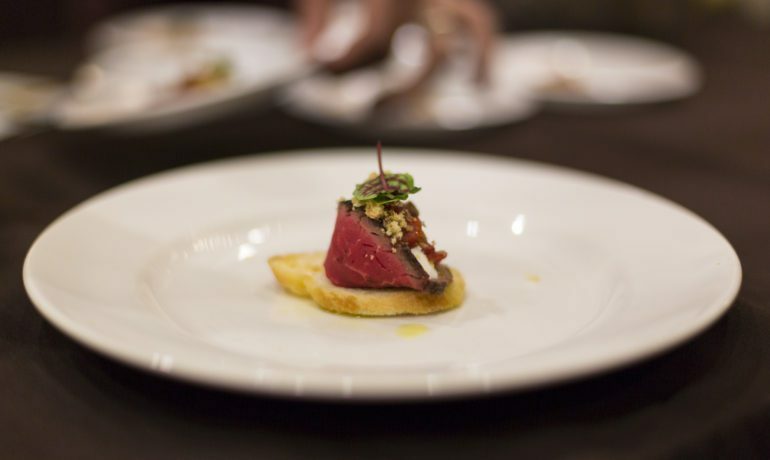 The rules of the contest are based on presentation; quality of ingredients and how well the food pairs with the wine. Every attendee is handed a logo wine glass and voting sheet at arrival. 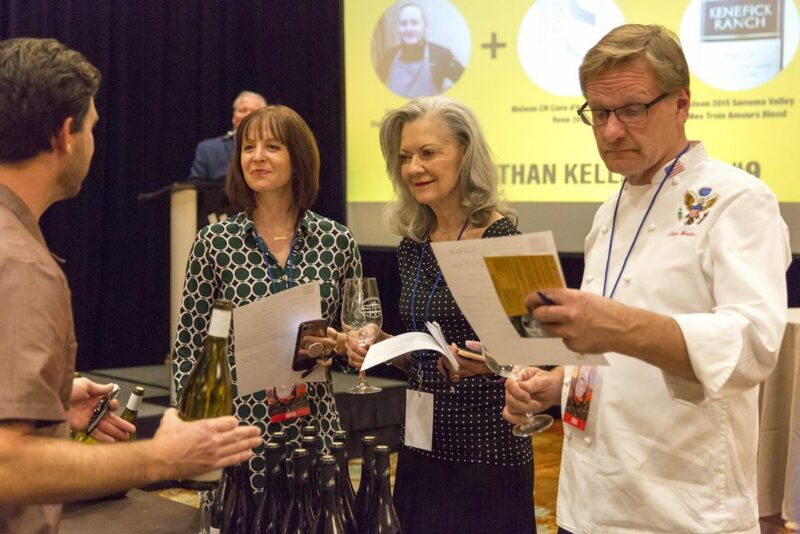 For two hours they stroll from chef station to station to savor the food pairings with their assigned wine. 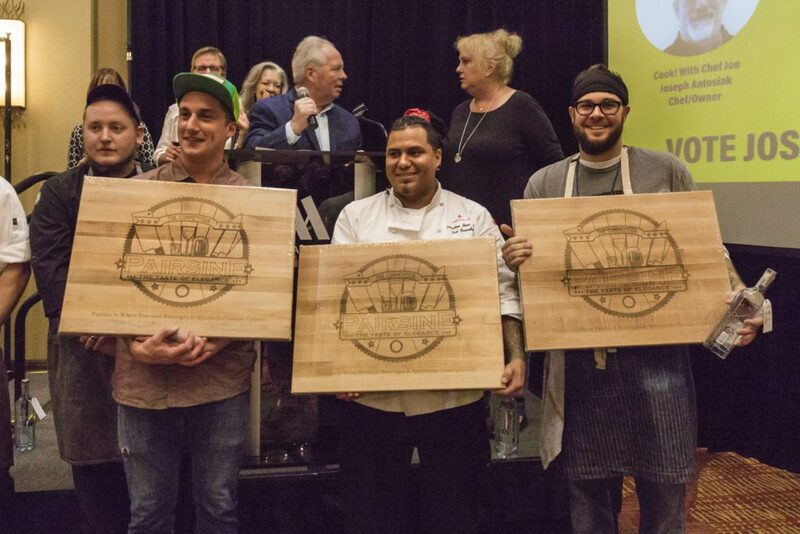 All three winners were presented with custom engraved Boos Block Cutting Boards. The People’s Choice winner also received two roundtrip direct airline tickets from Denver to Grand Cayman on Cayman Airways. 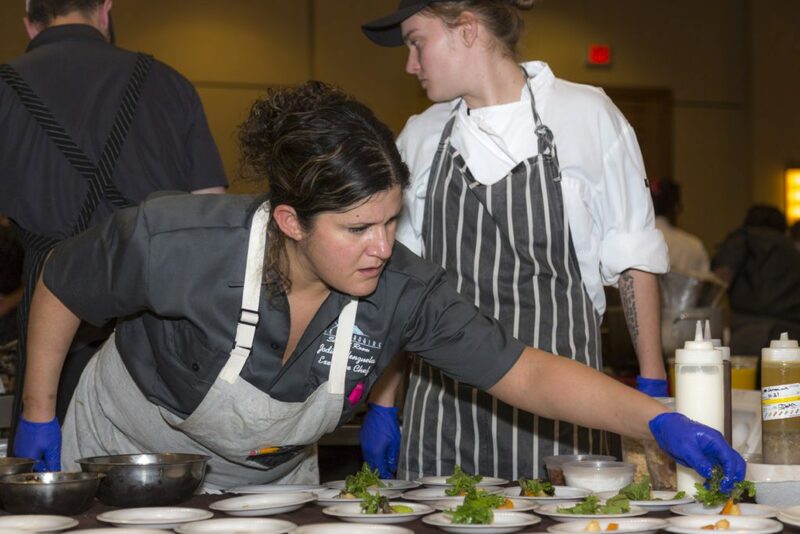 This was the thirteenth annual Pairsine Chefs Fine Food and Wine Pairing Competition and probably the toughest one to win! 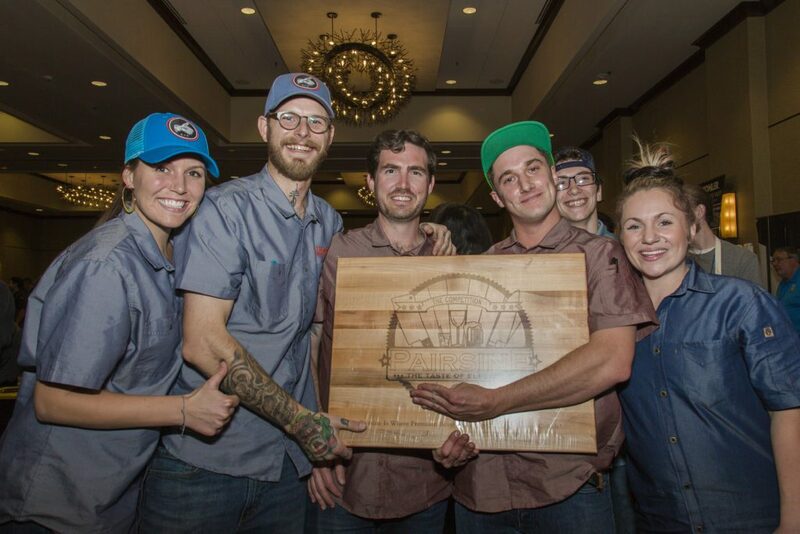 In my opinion, judging by these pairing menus, all of the chefs were winners! Six Serrano Smoked Pork BBQ Ragu with Wild Mushrooms & Pueblo Chilies, Mesquite Brown Rice, Crema, and Smoked Walnut Pesto. Cheers to the First Decade!